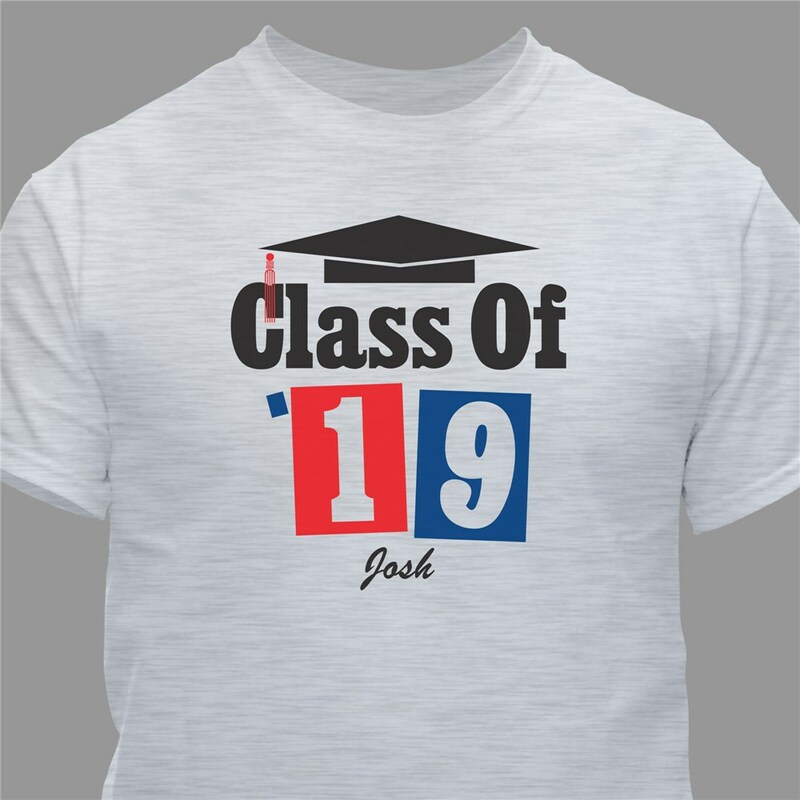 Personalized Class of '17 Tee Shirt - Personalized Graduation T-Shirt - Show your school colors with pride. You got the diploma, now let everyone know it with our Personalized Class of '17 Graduation T-Shirt. The perfect Graduation gift that proudly displays your school's colors with pride. Your Graduation shirt is Available on our premium white 100% cotton and is machine washable in adult sizes S-3XL. Graduation Shirts are also available in Ash Gray. Includes FREE personalization! Customize your graduation shirt with your two school colors. Choose school color options below. 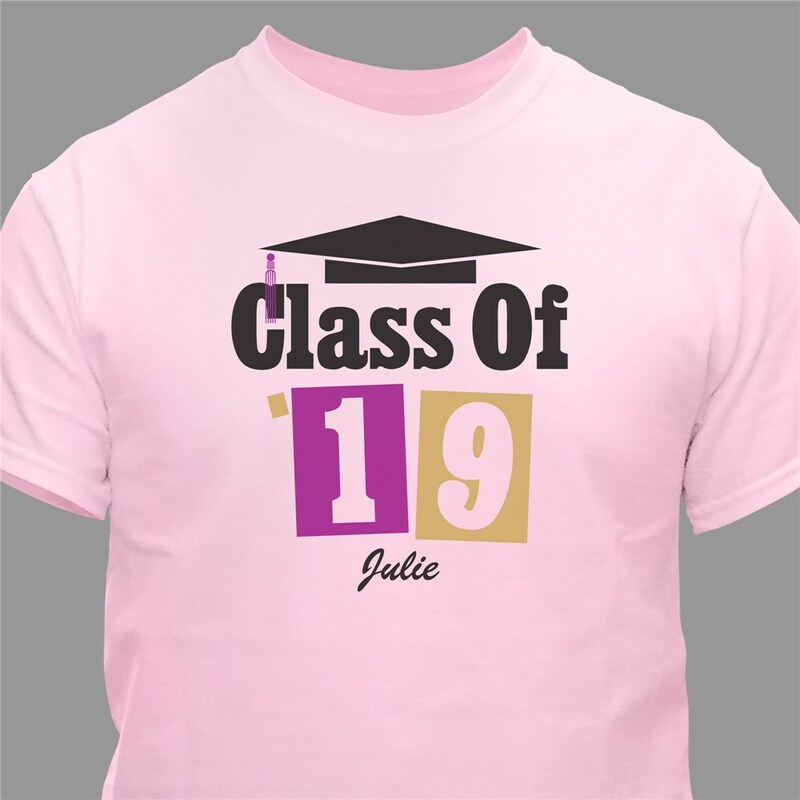 Personalize your Graduation T-Shirt with any name and year. My granddaughter was THRILLED with the shirt!! As high school or college graduation comes it is time to say good bye and time to say hello to your new future. Your memories of graduation are very important and will last a lifetime.